Did You Win Apichatpong Weerasethakul's CEMETERY OF SPLENDOUR On Blu-Ray? The acclaimed Cemetery of Splendour comes to blu-ray November 7th, and we've got two copies to give away to UK readers. New Wave Films is pleased to announce the release onto DVD and Blu-ray of Cemetery of Splendour, directed by Apichatpong Weerasethakul. In this haunting film soldiers with a mysterious sleeping sickness are transferred to a temporary clinic in a former school. The memory-filled space becomes a revelatory world for housewife and volunteer Jenjira, as she watches over Itt, a handsome soldier with no family visitors. Magic, healing, romance and dreams are all part of Jen’s tender path to a deeper awareness of herself and the world around her. 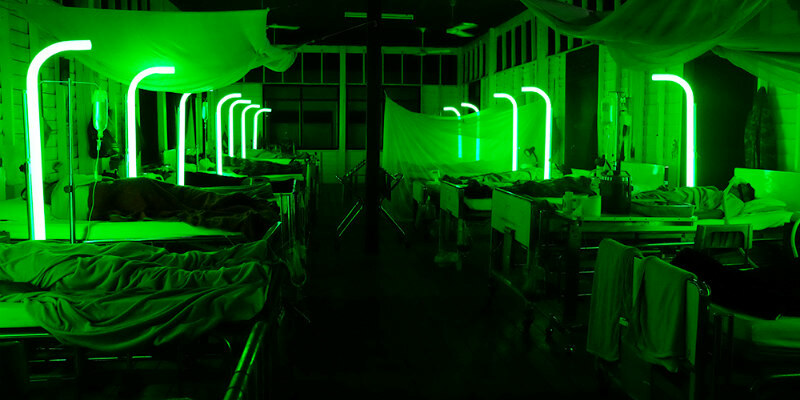 Cemetery of Splendour is Weerasethakul's latest film, after the Palme d'Or winner Uncle Boonmee Who Can Recall His Past Lives.